Last Wednesday, I was at Tesvikiye for celebrating Chikirina‘s birthday! Chikirina is a Turkish-American activewear and lifestyle brand that was created by two cousins that are Janelle Berberoglu and Fulya Muftuoglu. While I was there, I played for their party too, we had so much fun. Before dancing, I talked with them about their amazing brand. Hi! Firstly, thanks for inviting us, it is a pleasure for me to be here. Could you just give a brief information about what Chikirina is? Thanks for coming! And yes of course 🙂 Chikirina is a lifestyle & activewear brand started by us – Fulya & Janelle – Turkish/American cousins living here in Istanbul. We began this project 2 years ago with an aim to inspire women in Turkey to live active, healthy, independent lives. Our goal is to provide clothing that inspires confidence and provides comfort in both your active and everyday apparel. With two collections out on the market – one active and one swim – we offer very unique and luxurious fabrics that hug the body and move with you. Outside of being an apparel brand, we are also very passionate about the culture behind it. We really want to build a community of like minded individuals looking to better themselves, make healthy changes in life, and truly reach their maximum potential. We are constantly trying to find new and creative ways to do this but running events, being out in the community, engaging in our ambassador program, and collaborating with other like minded brands on projects. How does it feel to come to this current moment? In this exact moment, very grateful & proud 🙂 One of the main reasons we wanted to have a party was to celebrate what we’ve done – which for anyone who’s ever owned a company knows is often hard to do. We’re always focused on bettering ourselves, trying to launch our next collection, juggling events, and running daily sales and business. It’s a lot! So tonight it’s just about having fun and being thankful to all the incredible people who have supported us on this journey. And lastly, what are your future plans for your brand? Conceptually, you’ll be seeing a lot more emphasis on multi-function and benefit. We really want to create products that offer a very specific and unique value to the customer. So right now we’re trying to develop our fabrics even further and add some unique properties and functions. We’ll also be expanding into the accessories sector with bags, socks, mat carriers, running belts, etc. We are actually in the middle of a great collaboration with a fellow Turkish bag designer, to put out a very functional yet stylish sports and utility bag. 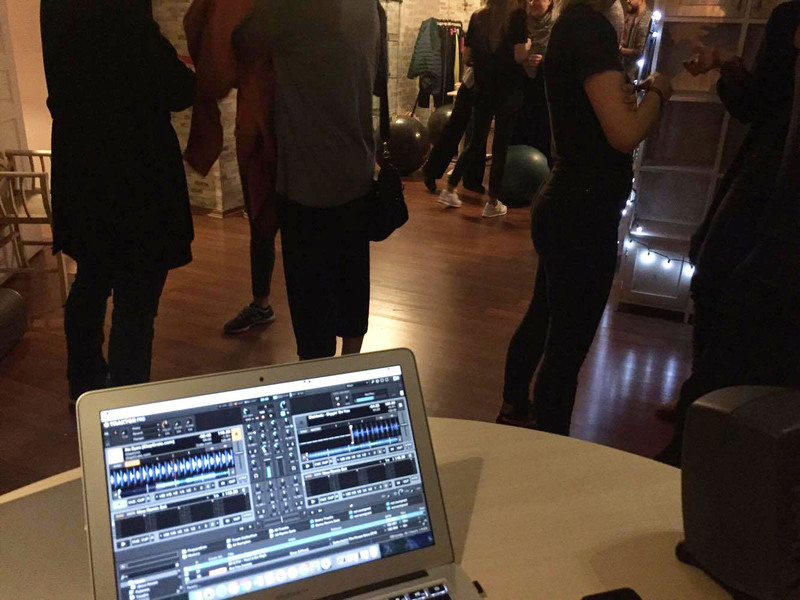 Here in Istanbul we’ll be doing a few more brands events that offer unique workouts and lifestyle inspiration. We’ll be targeting busy, working people and aim for some corporate events to introduce healthy living and exercise that can be done in a short period of time. This entry was posted in INTERVIEWS, LIFESTYLE and tagged 2016, chikirina, cisetta, clothing, fitness, interview, lifestyle. Bookmark the permalink.